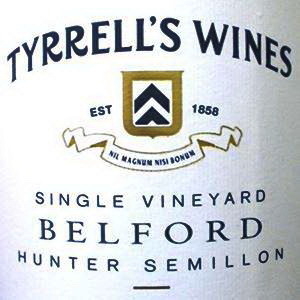 We find you far better wines for the money you’re spending now – including $20 wines that match greats like Grange – and better prices for the favorites you know and love. You’ll easily save $500 a year on wine and discover exciting boutique wines you’ll never find in the average bottle shop. 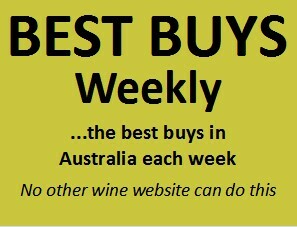 Spot Specials – great deals we find midweek that won’t last. Plain English Wine Reviews – written for wine drinkers like you. 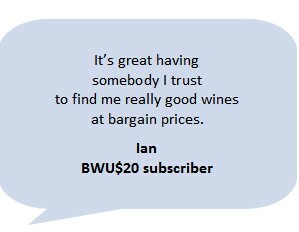 BWU$20 takes the guesswork and legwork out of drinking terrific wine every day. You’ll easily recoup your yearly subscription on your first purchase. One subscriber recently saved $119 on a single case.